I don't support any political party and have been known to cast the occasional donkey vote (thanks to my Year 6 teacher for teaching me about that!). When I was younger, I did this because I had no interest in politics and really didn't know much about it. As I got older, I did this because I didn't think there was one party or one leader that I preferred over the next - it was much of the sameness to me. All politicians lie to some degree, all politicians slander each other to some degree, and after 27 years I cannot choose which party I prefer to lead the country. What I will say, however, is that Julia Gillard is a strong woman and I respect her for that. She stood up for herself when Tony Abbott made those arguably misogynist comments. She took only a few days off work when her father passed away in September last year. She has copped a lot of flak by the media and general public for her marital status, childlessness, partner's occupation, and dress sense. And through it all she has maintained dignity. Admittedly some of the things she slash her "Advisers" did were a bit misguided. A photo shoot of you knitting? Really? Living in the Western suburbs of Sydney for a week? How transparent of you... But I don't think that gives anyone the right to throw sandwiches at her. I listened to Rudd's and Abbott's speeches last night. I have to say Rudd is a much better speaker and much more inspiring. I found Tony Abbott to be a bit clumsy in his delivery and taking cheap shots at the Labour party (which I realise the Labour party do to the Liberal party all the time but I'm just comparing the 2 speeches last night). I feel like it cheapened his image whereas Kevin spoke in a more refined and respectable way. ANYWAY, sorry for the text-heavy and serious tone of this post. 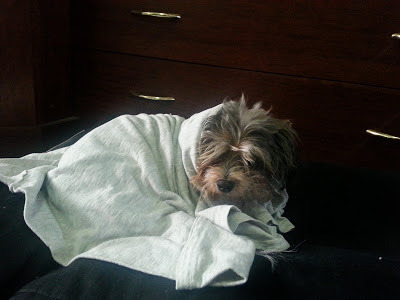 In photographic news, this is my doggie after his shower yesterday. Your dog looks so sad! 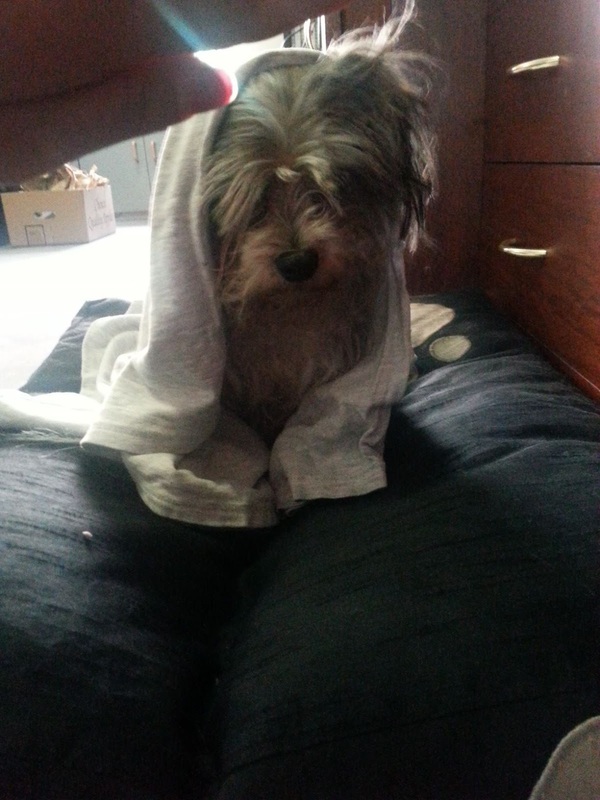 Dogs hate getting bathed. They really know how to turn on the sad face. I share the same nonchalance about politics and unfortunately that's gotten me into a bit of a spot lately with some friends! Ah well, politics is politics.